For nearly one half of a century Karl Palmatier was involved in the promotion of all phases of archery. 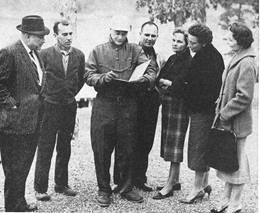 Palmatier became a member of the National Archery Association in 1935. 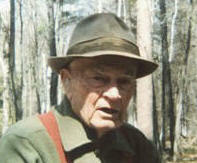 His interest in archery roots back to 1927 when he helped to start an archery class in the school where he was teaching. 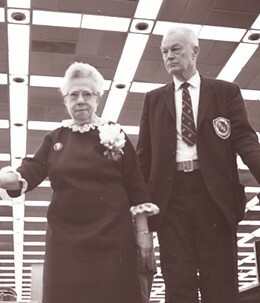 In 1928 he was recognized as a powerhouse of energy and an organizer of talent and was made Secretary of the Michigan Archers Association, a position to which he had been re-elected for many years. Then the N.A.A. 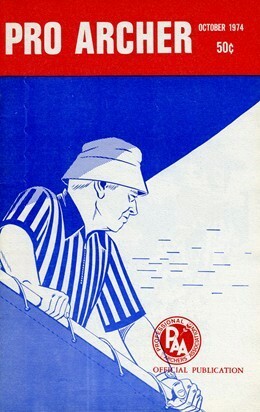 Tournament in 1936 which was held in Kalamazoo, Michigan and Karl was selected to serve as President. 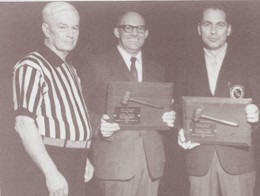 The Tournament was up to that time one of the most successful ever conducted by the Association. 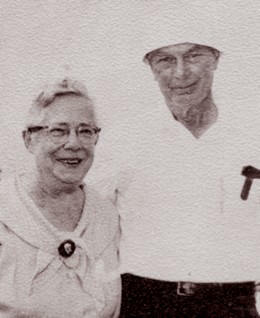 The same qualities that en­deared him to the Michigan Archers became known to the archers throughout the country. His wide range of archery knowledge made his service especially valuable in handling the many details always confronting a President. 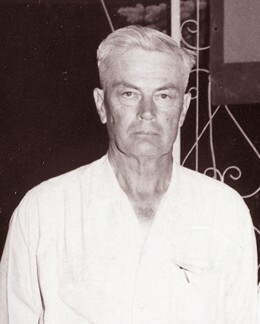 As a result of his popularity and experience he was elected to the Board of Governors of the National Archery Association in 1937 and was one of its staunches supporters and most substantial members over the years. Those who have known him over the years know how prolific he was with constructive and helpful suggestions. They knew how ready he was in carrying out assignments. They found him present at most of the national tourna­ments, whether they be held in the East, Mid-West or West, They knew he had a generous heart, a profound interest and an irreplaceable knowledge of the sport we all love so well. It was, therefore, a most happy selection that the committee which was composed of Louis C. Smith, Chairman; Dr. Paul Klopsteg and Kore T. Duryee made the selection of Karl for the Maurice J. Thompson Medal of Honor for 1943. 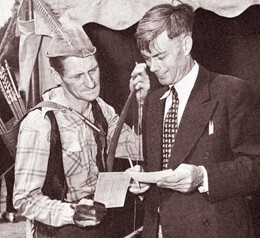 After the war, Karl devoted most of his time to the promotion of the newly founded National Field Archery Association. He was Tournament Director of the N.F.A.A. from 1940 to 1960. 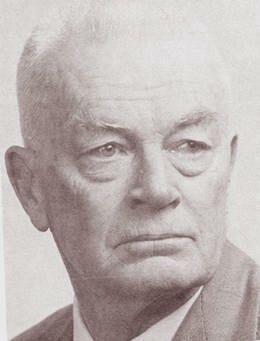 In later years he also served as the Associations Presi­dent. So great were his contributions to the National Field Archery Association that the N.F.A.A, also chose to honor Karl with their highest honor, The Compton Medal of Honor. 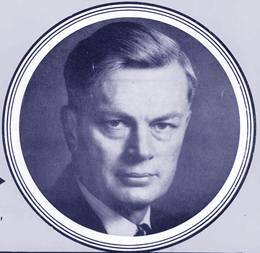 In 1962 Karl became the first Secretary-Treasurer of the newly founded Professional Archers Association; a position he held until 1968. During those six years Karl personally handled more than 10,000 pieces of correspondence, and was in­strumental in making the Association one of the finest organizations in the world. 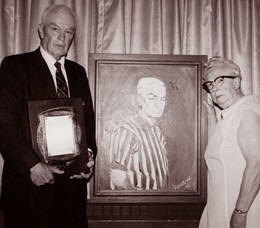 Not since the days of James Duff had anyone been in as much demand to officiate tournaments as he. 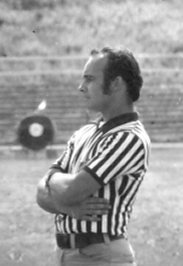 He officiated at National Archery Association Champion­ships, National Field Archery Association Championships, U.S. Indoor Open Championships and Ben Pearson Open Indoor Championships, In all he has officiated at more than fifty (50) National events from 1935 to 1972. Calling a man a legend is almost too commonplace in today’s world, but this is the best way to express what Karl E. Palmatier has meant to the sport of archery. For nearly one half of a century Karl was involved in the promotion of all phases of archery. Karl holds a distinction that most likely no other man will ever accomplish in our sport. He has held the office of President of both the NAA and the NFAA and could have also been the president of the PAA, but instead chose to be the executive secretary of the association for the first eight years of existence. 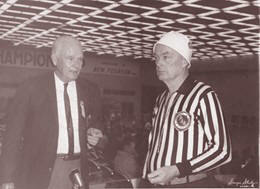 Karl was best characterized with the turned down sailor hat, and always giving specific and detailed instructions on any tournament he was involved in. No person, before or since has done the job quite as well.